USC Marshall is internationally recognized for its emphasis on entrepreneurship and innovation, social responsibility and path-breaking research. 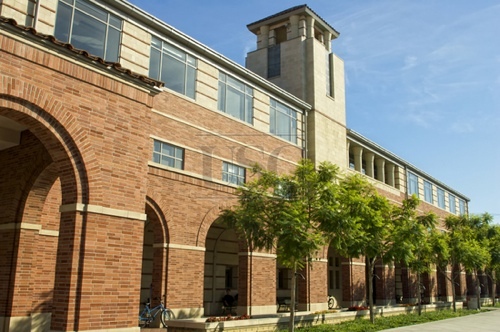 Located in the heart of Los Angeles, one of the world's leading business centers and the U.S. gateway to the Pacific Rim, Marshall offers its 5,500-plus undergraduate and graduate students a unique world view and impressive global experiential opportunities. With an alumni community spanning 90 countries, USC Marshall students join a worldwide community of thought leaders who are redefining the way business works. The Marshall Admissions Office warns that its MBA programs are "highly selective," and that the Admissions Committee "carefully assesses each candidate on a number of dimensions, including prior academic, professional, and personal accomplishments." All applicants must provide the school with official transcripts for all postsecondary academic work...The Marshall Admissions Office warns that its MBA programs are "highly selective," and that the Admissions Committee "carefully assesses each candidate on a number of dimensions, including prior academic, professional, and personal accomplishments." All applicants must provide the school with official transcripts for all postsecondary academic work, an official GMAT score report, an official TOEFL score report (for international students who have not previously attended an English-language undergraduate or graduate program), an online application, a current resume, three required essays (a fourth optional essay is available), and two letters of recommendation (at least one from a direct supervisor is preferred). Marshall’s Career Resources Center “has already made incredible changes” since bring­ing on a new director five years ago. “The resources and energy the career coaches bring to the students are head and shoulders above what students at [another prominent area business school] have. While I’m sure the CRC will continue to improve and bring in more high-profile companies, it is already a premier organization.” Students praise the center’s one-week winter inter-term program for first-years, through which “students learn how to fine tune their resume and interview skills. Additionally, they learn about networking, discover their inner interests, and come up with a value proposition. I believe this gives Marshall students a leg up in recruiting.” Companies most likely to employ Marshall MBAs include: Deloitte, Johnson & Johnson, Cisco, Booz, Toyota, Samsung, General Electric, IBM, Hewlett Packard, PriceWaterhouseCoopers, and Houlihan Lokey. Ronnie C. Chan - Chairman, Hang Lung Group Ltd.
Want more info about University of Southern California, Marshall School of Business Executive MBA? Get free advice from education experts and Noodle community members. What’s unique about the coursework in USC’s Executive MBA program?